Do you have travel in your DNA? Feel a relentless compulsion to take off and see the world? 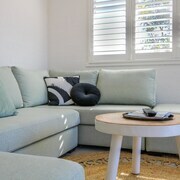 Scratch that itch with our awesome range of Kingscliff accommodation. 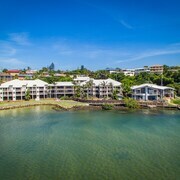 There are 54 lastminute.com.au accommodations within 10 kilometres of downtown Kingscliff, so you'll be watching the inside of your eyelids (or hitting the mini bar) before you know it. The Peppers Salt Resort & Spa and Santai Retreat at Casuarina Beach are just a few of several pads that are close to the main areas. 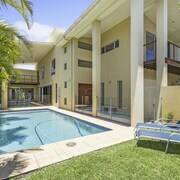 Consider selecting one of the 14 hotels in Tweed Heads, located 9 kilometres outside of the downtown area. You've gotta be quick! Some exceptional picks are the Tweed Ultima and Bayswater Tweed. If you're keen to learn about local history, Kingscliff War Memorial is a recommended site to spend some time. The Mantra on Salt Beach and Chinderah Motel should be at the top of your accomodation hit list if you'd like somewhere to crash nearby. Get out and get active with a morning of thrilling water-based pursuits at In2Surf Surf School. As luck would have it, Sunrise Cove Holiday Apartments and Marine Boutique Apartments are nearby, so you can swing by and see it as often as you'd like! 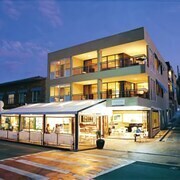 You might also like to try the Peppers Soul Surfers Paradise or the Ultra Broadbeach. 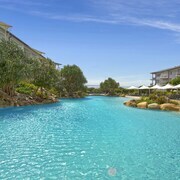 The Peppers Soul Surfers Paradise is 30 kilometres away from central Kingscliff, and the Ultra Broadbeach is 30 kilometres away. If those options don't jump out at you, you may prefer the Peppers Broadbeach or the Hilton Surfers Paradise Residences. Can't keep those feet still? If you're nodding furiously, then set off and discover the highlights of the wider New South Wales region. Among New South Wales' natural wonders are its rural landscapes and beaches. After you've gotten all zen in Mother Nature, hit up history museums and craft workshops. Hungry for more? Common pastimes in this particular part of Australia include snowboarding, skiing and mountain climbing, so don't be scared to have a crack! Looking for more to do? Consider spending some time visiting the Brunswick Picture House and the North Byron Parklands. 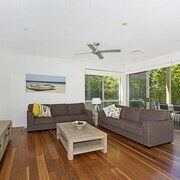 You'll find them in Yelgun, 25 kilometres to the south of Kingscliff. Yelgun accommodation options are the Ocean Shores Motel and Crabbes Creek Cottages. 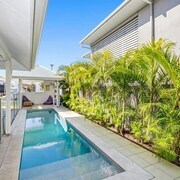 25 kilometres to the northwest of Kingscliff you'll find North Burleigh, home to the ULTIQA Beach Haven At Broadbeach and Markham Court. Palm Beach Pirate Treasure Island Playground and Burleigh Head National Park are some of the most popular attractions to experience in North Burleigh. So all you've gotta do now is put on your out-of-office and split. 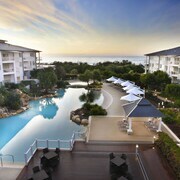 After all, you've worked hard for this lastminute.com.au getaway to Kingscliff, right?